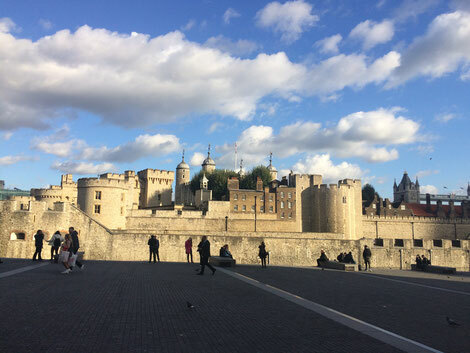 London can be a magical experience in a city known for it’s rich mix of royal history, world-class museums and theatre productions and breathe-taking bridges connecting it all together. But, the city takes on a whole new vibrancy through the eyes of a toddler, as my two and half year old son became my sightseeing companion while my husband was visiting on business for a week last fall. And there’s never been a better time to go with the recent Brexit vote contributing to the favorable exchange rate. Plus, a visit to London with your family just might yield you a glimpse into what it’s like for Prince William & Kate Middleton’s little ones—Prince George and Princess Charlotte— as they run about the town for play dates and nursery school meet ups at all of the hottest London landmarks and attractions. It wouldn’t be a proper visit to London without a trip to the theater, but as a mom of a boisterous toddler there was no way I could take my little guy to a nighttime performance without causing a disturbance. 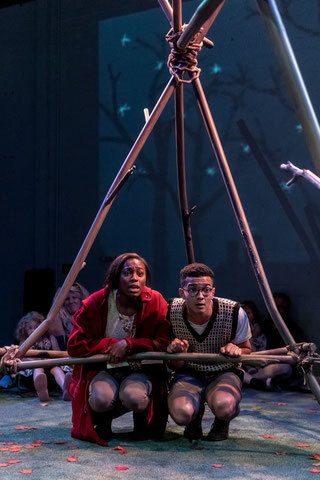 Instead, we found amusements at the enchanting Unicorn Theatre, a child-friendly live performance venue right in the heart of London’s West End theater district. Unicorn Theatre has been around since 1947 and has built a name for itself as the United Kingdom’s premiere theatre for children. During our visit we sat in a large circle reminiscent of preschool story time and saw “The Owl Who Was Afraid of the Dark,” a play produced especially for children ages 2-5. The set was whimsical and the actors were animated, belting out lines that elicited giggles and smiles throughout the preschool-aged crowd. Moms and dads enjoyed the show, too, as it brought back a child-like wonder that is sometimes lost in the midst of looking after our little ones. Queen Elizabeth II sent her first Tweet out in 2014 about The Science Museum of London. Her Royal Highness had visited the museum as a youth, and marked her entrée into the Twittersphere with a nod to the museum’s Information Age exhibit. 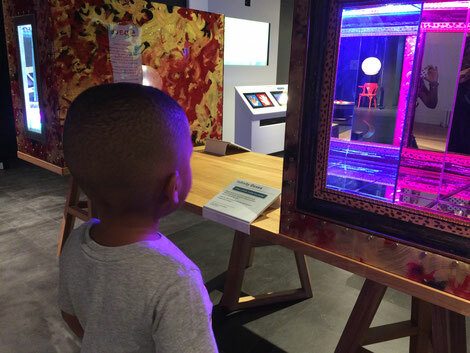 Free to the public, The Science Museum is a slam dunk for busy little fingers and the pitter-patter of little feet. 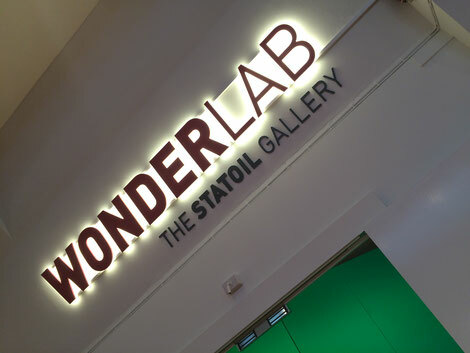 Wonderlab is a brand new exhibit that opened up the second week of October up where kids can touch everything! A day pass will set you back about $9 (£6), but well worth it as children from 2 to well into their teens can get hands-on experience with real scientific phenomena, such as creating live experiments at the Wonderlab’s Chemistry Bar, play with forces of velocity on three giant slides or travel through space under a canopy of stars. 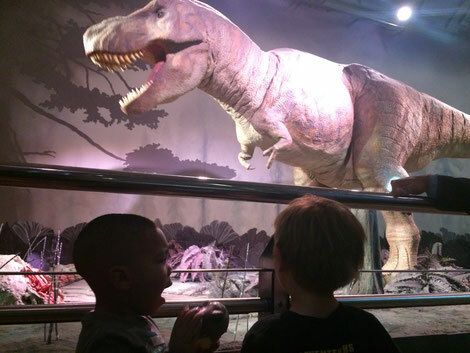 With a total of 50 scientific marvels to enjoy, The Science Museum and Wonderlab is a must-see stop for families on a London tour. Whilst you’re near London's Science museum, checkout the adjacent Natural History Museum’s very cool dinosaur exhibit. Also free the public, my son made me walk through the exhibit twice over the course of two hours. This was my personal favorite. When my little guy was napping, I got to check out the Crown Jewels, which included the bejeweled headwear, jewelry and gold-plated, diamond encrusted, pearl-studded ceremonial items made for the British monarchy dating back more than 500 years. The awe-inspiring 530.2-carat diamond of the Sovereign's Sceptre with Cross made in 1661 is the largest colorless cut diamond in the world. European hotel rooms are notorious for being tiny, so I recommend upgrading to a junior suite if it’s in the budget, which is what we decided to do. 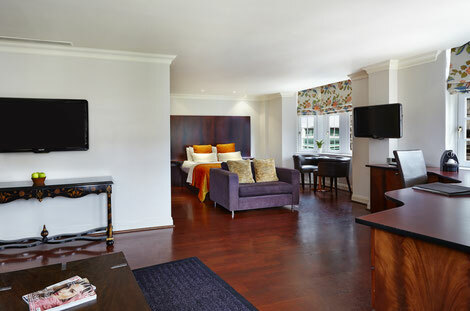 We opted to stay at Radisson Blu Edwardian Grafton, a centrally located hotel in the heart of London’s West End and just footsteps from the Underground or Tube (London sprawling subway system that rivals New York City in terms of cost and efficiency). Our junior suite room provided space for my little one to run around and play while we were in the room and, after bedtime, the living room area provided a space for mom and dad to stay up and chat, watch a little British TV and do a little work on our laptops. We also added a breakfast package to our hotel stay, so that we could wake-up in the morning and immediately have at our convenience fresh milk for my toddler and a nice hot breakfast, which for some reason also included baked beans! (I’m told it's a British breakfast standard). Waking up and having food at-the-ready while staying in a hotel is a must to make sure the kids get at least one square meal a day while on the trip. We were also able to maximize our sightseeing time by not spending our mornings in search of food. Last, but certainly not least, London is known for being a crossroads of international flavors, from Indian Curry to Fish & Chips and Caribbean flavors. 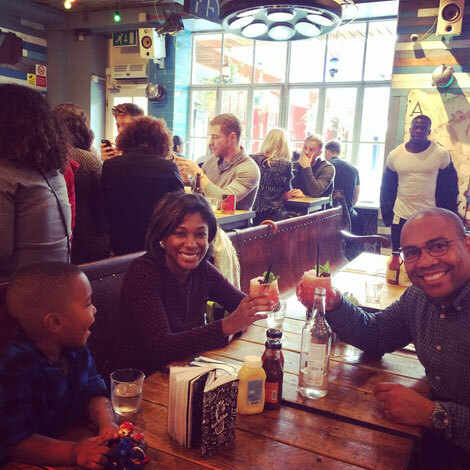 We found ourselves at The Rum Kitchen, a Jamaican-inspired places with good vibes, cheap eats and a festive atmosphere, located right in the center of London’s hip shopping district – Carnaby! Follow my daily adventures on my Facebook page!